The Nightlife in Fernando de Noronha. While most of the big cities of Brazil are known for their energetic nightlife, this is not the case with Fernando de Noronha. People go there to surf, dive, see the wildlife and to experience the tranquility, so don’t expect discos with loud thumping music. Barring a few options for music and drinks, the limited other night time activities are more sober in nature. There are a just couple of bars, including the Cachorro Bar and the Capitao dos Mares Bar, where one can have a beer or sip on a Capirinha, Brazil’s national cocktail, made from lime, sugar and cachaca, a distilled alcohol and dance the ‘forro’, a dance of northeast Brazil to axe, samba, pagode or reggae music. Sometimes local bands from the mainland come to perform on the island at one of the bars or restaurants. A popular performer on the island is Ju Medeiros, who lives at Fernando de Noronha. Scuba enthusiasts can go on night dives conducted during the late evening or night. 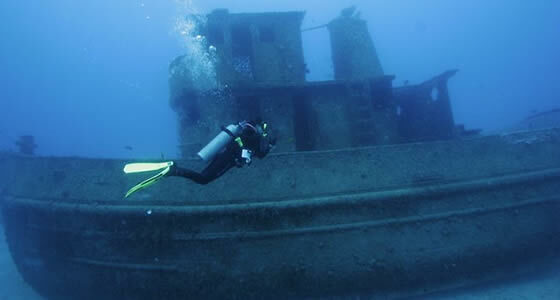 Preferred sites include the 8 m Naufragio do Porto which has the fairly well preserved remains of a Greek cargo ship that ran aground sometime in the 1920’s, and the13m Resurreta site, located between Rata and Meio islands. Here multicolored schools of fish, lobsters and sponges and an old anchor are the main attractions of the dive. The TAMAR Project’s visitors’ center shows educative films in the evenings about the island‘s ecosystems, marine life, birds, protection, geological formation etc. Sometimes environmentalists and scientists give lectures here as well. Nights are one of the best times to observe the activities of turtles. The TAMAR Project organizes such expeditions, and especially on a moonlit night is guaranteed to be one of the experiences of a lifetime.